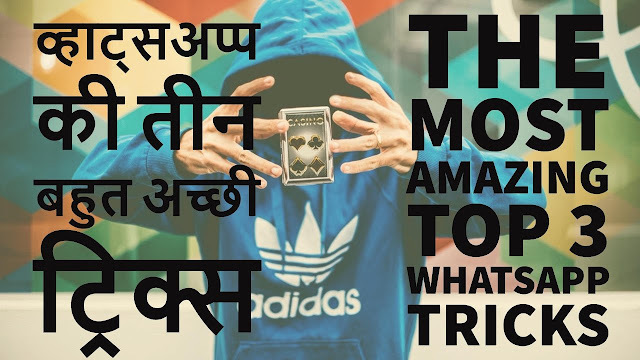 Hello guys In this Video, I will Show you The Most Amazing Top 3 Whatsapp Tricks Everyone Should Know (2017) Hindi/Urdu Video By Tips & Tricks and please don't forget to Like, Share, Comment and Subscribe to our Channel for more videos. 3 New Amazing WhatsApp Tricks You Should TRY 2017. Chat Without Online When You received Massage From Your Friend Than You Click On Hidden Chat Icon.